Gardai have warned Christmas shoppers not to leave presents and other valuables in cars following a number break-ins to vehicles. 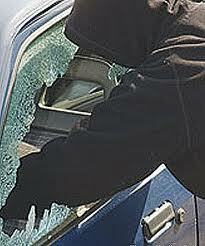 Officers have warned that thieves will now be targeting cars in the run-up to the festive season for easy pickings. Crime Prevention officer Sgt Paul Wallace told Donegaldaily.com that shopping centres and car parks are prime targets for thieves. He said there had been a number of incidents but he fears there could be a spate of robberies as it gets closer to Christmas. “We don’t want to be alerting thieves but we also want to let people know how these guys operate. “They will be going around looking for easy pickings from cars as it gets closer to Christmas. “People will naturally be doing a lot of shopping and perhaps going for a bite to eat and leaving presents and other stuff in cars. “We would ask them to put these items out of view in the boot of cars or to leave them home and then return. “These thieves only need a second to steal literally hundreds of euro of goods,” he warned. He said that many urban centres including Letterkenny, Buncrana, Ballybofey and Donegal Town will be targeted by thieves but warned that no car is safe if it has items in view. Sgt Wallace added that the public has their part to play in ensuring the thieves do not make it a miserable Christmas for everyone. “There are a lot of security cameras in shopping centres but often it is the eyes and ears of the public which stops a robbery form taking place. “We would ask people who notice anybody acting suspiciously to contact a member of security staff. “It is no harm if someone is innocent. It is better to be safe than sorry and to see somebody robbed,” he urged.